The Content Exploration Series is presented by Mashable Explore, a new way to discover resources and information on your favorite Mashable topics. Mashable Explore is brought to you by the all-new, 100% reinvented 2011 Ford Explorer. Drive One. Every now and then, we all get stumped when looking for a good online read. Whether your feeds need a refresh, you’re delving into a new topic, or you’re just new to this whole “blog reading” thing, we’ve got you covered. There are dozens of services on the web dedicated to helping you get the most out of the universe of regularly updated blogs, and many of them are focused on helping you find the most high quality content as well as the content most relevant to you. As an added bonus for the aesthetes out there, some of them are also an absolute pleasure to consume from a design perspective. Here are ten tools we like to use to get out of a blog reading rut. In the comments, do share your tips and tricks with us and other Mashable readers. First, take a look at these encyclopedic catalogs of blogs. 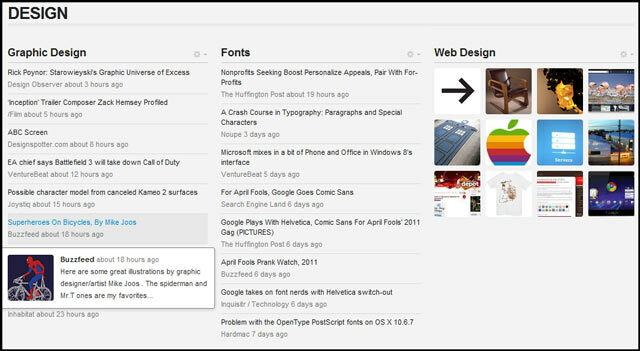 You’ll be able to browse or search by topic, so you’ll find the content and bloggers you’re looking for. 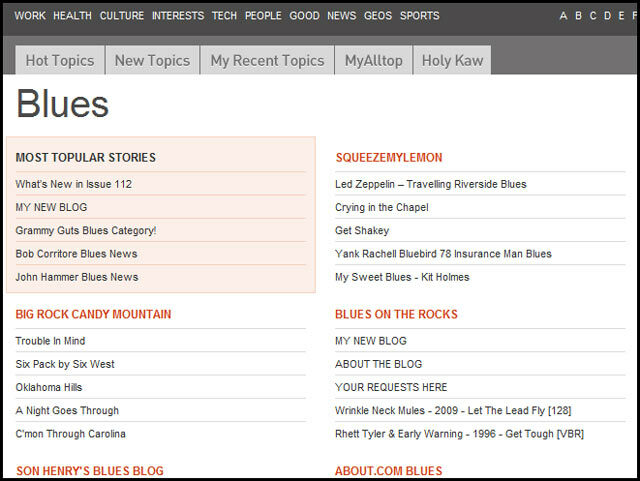 Alltop is the granddaddy of all blog discovery tools. 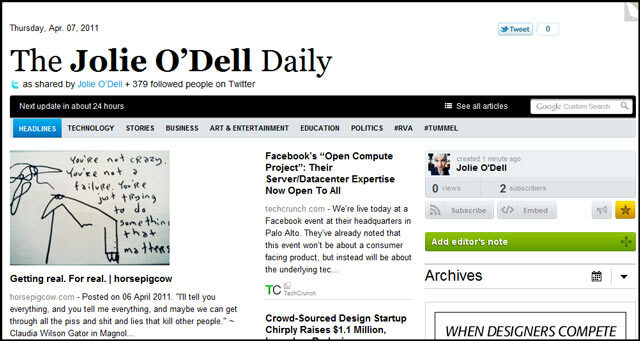 The site, which was cofounded in 2008 by Silicon Valley person of interest Guy Kawasaki, is known for its tight, topic-based groupings of the creme de la creme of blogs and a handful of other informative sites. Best of all, you can customize the service with features collectively known as MyAlltop. These features allow you to save blogs (or feeds) you like to a home dashboard, effectively making Alltop a great discovery engineand a functional and well-organized feed reader for low-volume feeds. This site is one of the older and larger blog directories on the web. 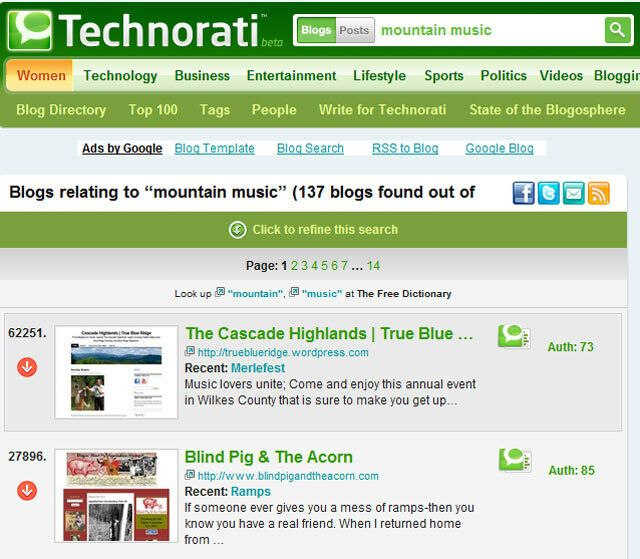 What we like about Technorati’s blog directory is that you can search by keyword for specific posts on a topic or by entire blogs devoted to that topic, which makes the site a great tool for both discovering experts and drilling down on specifics. This visually appealing catalog o’ blogs is a modern take on the concept of discovery and curation. The site itself is gorgeous, and it regularly features truly fascinating and esoteric blogs you might never have looked at otherwise. The onsite search leaves something to be desired, but try browsing blogs by topic or plugging into the active BC community instead. If you’d like to get automatically generated feeds from blogs (and the occasional news site) around the web, we’ve got a few recommendations for you. These tools will give you a chance to pick your favorite topics then lean back for a hands-off, enjoyable discovery experience. Guzzle.it allows you to create and customize a personal dashboard based on topics you care about. You’ll get some news from mainstream websites, but the service also culls posts from thought-provoking and highly relevant blogs. You can choose to display topics visually, textually, or both — and convenient tooltips allow you to get the gist of a post quickly. YourVersion allows you to see great blog posts (and other content, such as tweets and videos) on your own interests — you can also choose to see blog-only content. The company that makes the web app has also rolled out a nice suite of mobile apps, including offerings for iPhone, iPad and Android devices. The app also comes with a nifty browser extension that makes saving (and organizing) bookmarks as simple as a single click. Paper.li makes a web-based newspaper from the most popular links shared across your network of Twitter and Facebook friends. 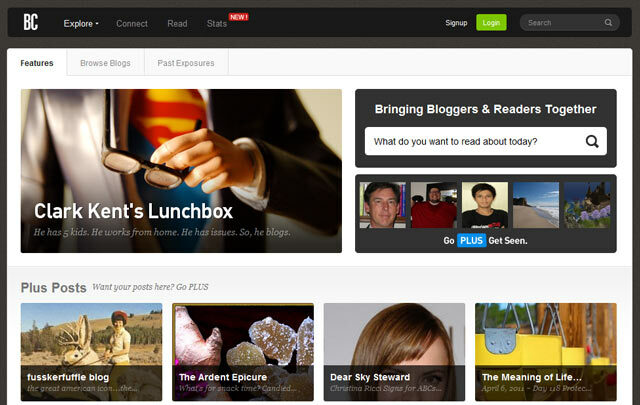 If your friends are sharing blog links, they’ll pop up here, allowing you to discover fresh voices and new feeds. Paper.li also breaks down shared blog posts by topic, such as technology and the arts. PostPost is a Facebook-specific aggregator that delivers all the interesting blog posts and other content that your friends have liked or that the Pages you like have posted. It’s billed as “what your friends think you should read,” and it has a highly enjoyable interface, to boot. 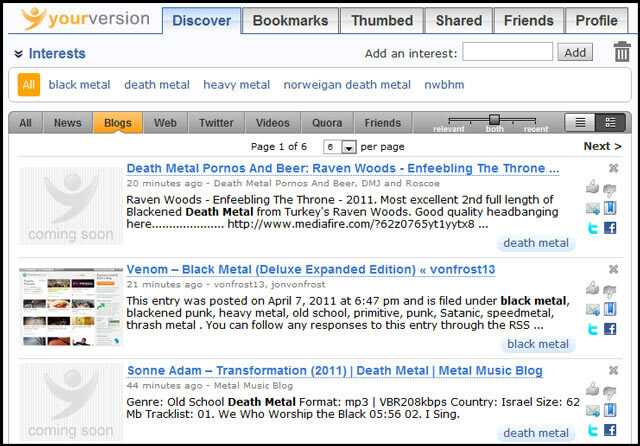 To see links only (as opposed to videos and images), just click the “Links” tab at the top of the page. This app connects with Twitter, Facebook and YouTube to get a smattering of content from around the web. 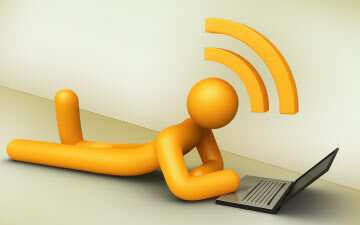 It focuses on the most popular topics from your network of friends. In all likelihood, the links will include quite a few blog posts. You can see trending posts by day, week, month or even the most popular posts from the past 12 hours. Topics are fairly customizable, and the site’s visual design is busy and gives the user a lot to see and explore. Finally, there’s good, old-fashioned blog search. Using tools like the ones below might yield topic-specific posts rather than feeds centering around your topic of choice. 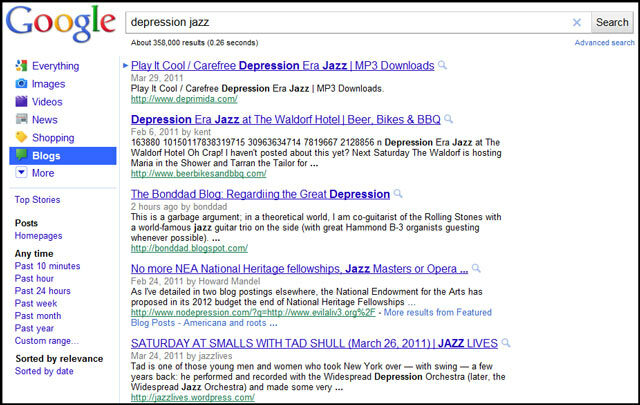 Nevertheless, blog search isn’t a bad place to start (or finish) your quest to find new reading material and new resources. Best of the Web is a fairly old-school outfit (established in 1994), but it delivers a no-nonsense roster of sites and blogs on a wide variety of topics. Blogs that pop up in search results are designated by a green bullseye logo and green text, so you’ll know when you’re looking at a fresh feed versus a static site. Plus, you won’t get individual posts here — just blogs on the topic you’re searching for. There is little doubt that Google holds something of a monopoly in web search. 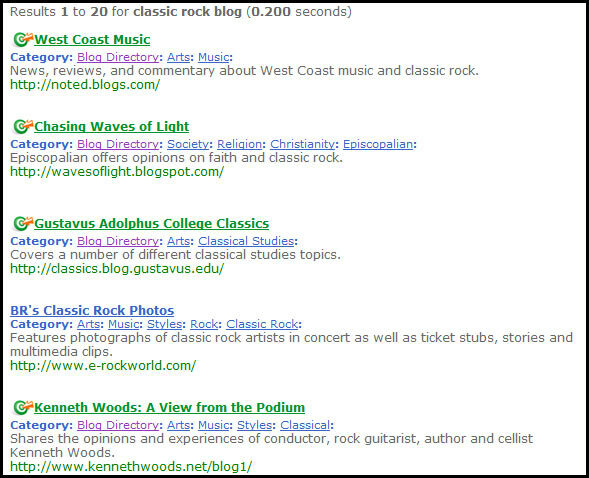 Its blog search is vast and can be quite useful. Posts are also almost guaranteed to be fresh, and you can see when each post was published before clicking through. However, some mainstream news sites are also being indexed as “blogs” at the moment. For this and other reasons, Google Advanced Blog Search might be best for deeper dives into highly specific and esoteric post topics.